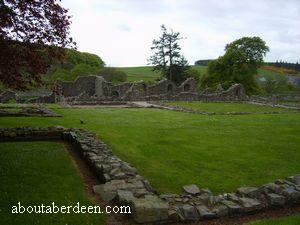 Situated just off the A950 at Mintlaw in Aberdeenshire Deer Abbey was a Cistercian House. 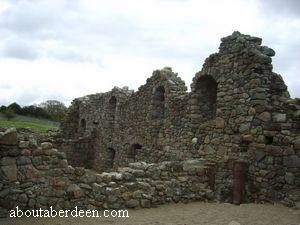 It was founded in 1219 by William Comyn who was the Earl of Buchan. Deer Abbey was dedicated to the Blessed Virgin St Mary. 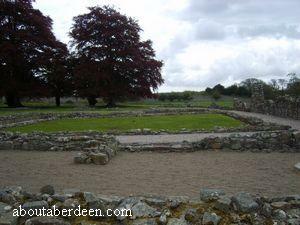 The Monks came from the nearby Cistercian house of Kinlose Abbey in Moray and were absorbed into an existing community of secular priests (clerici) at Deer. 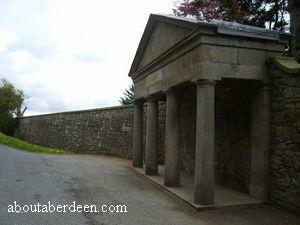 William Comyn was buried at Deer Abbey. Prior to this there was an earlier Monastic Order of Celtic origin dedicated to Saint Drostan. St Drostan was a disciple of Saint Columba. It was famed for the Medieval manuscript, the Book of Deer, a precious relic of this early Church which is described as a pocket gospel book. The Book of Deer was thought to have been written in the mid 10th century and was certainly in use and traceable back to the 12th century. Gaelic notes record the granting of the land to the clerici and the foundation legend of the Columban monastery. 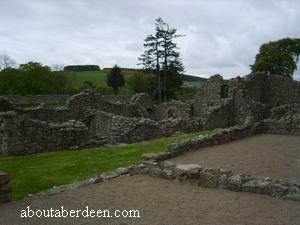 As can be seen in the Deer Abbey photo it is now mostly ruinous. 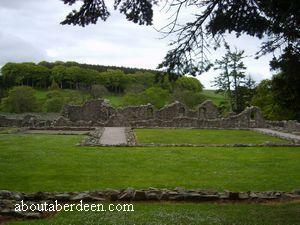 Deer Abbey is now owned by the Roman Catholic Diocese of Aberdeen and maintained and preserved by Historic Scotland. In 1587 the land came to the ownership of Lord Altrie (Robert Keith) and the DeerAbbey buildings fell to ruin. Much of this has to do with the Reformations of the earlier period of 1560 when the monastery fell into local use rather than being used as a religious building. 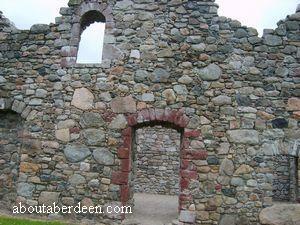 Stones were robbed by locals to use in the building of their own homes. 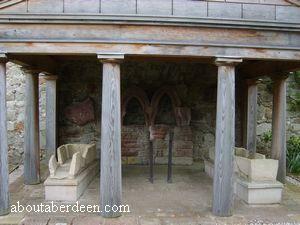 This continued for centuries until a mausoleum was erected in the East end of the church in 1854. This was later removed. 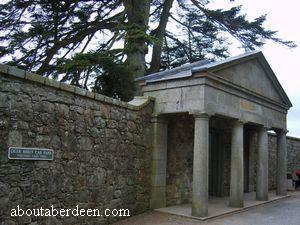 In 1926 Deer Abbey came into the ownership of the Catholic Diocese of Aberdeen and in 1933 it was place into the care of the Secretary of State for Scotland. 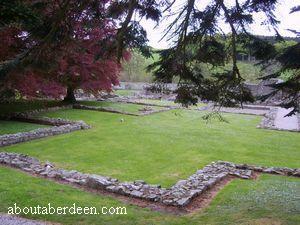 As can be seen in the Deer Abbey photos on this page all that now remains of the church is the foundations. 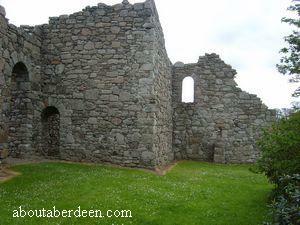 The Abbot's House, the Southern cloister range and the infirmary are a little better preserved. Other areas include the West Range, the site of Lay Brother's Quarters, the Cellars with Monastic Refectory, Chapel, Presbytery, Infirmary, Abbot's House, Latrines, Chapter House, Kitchen, Chapels and Dorter. A ghostly monk has been seen on the main road next to the Abbey site. Though his face has never been seen, witnesses have described him as wearing a dark robe with a hood. 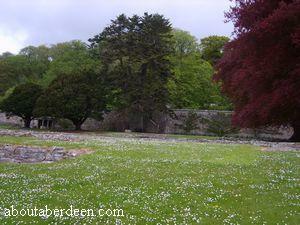 Unfortunately no-one who has seen the ghost of Deer Abbey has been able to take a photograph. 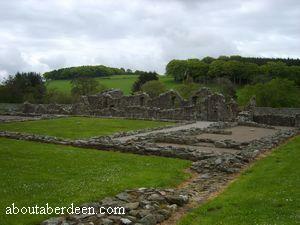 Here are more photographs of Deer Abbey.  If there is a particular picture you would like to see then please contact me using the details to the left of this page.